Judy is constantly pursued by a mysterious shadow. Her brother, a timid but lovable boy, turns out to be a real hero in this dramatic, fast moving story. About Judy Bolton (Author) : Judy Bolton is a published author of young adult books. 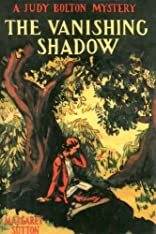 Published credits of Judy Bolton include The Vanishing Shadow (Judy Bolton Mystery), The Haunted Attic (Judy Bolton Mystery Stories).